Professional wrestling historians say that the main reason that the recently retired Undertaker was able to have a twenty-five year career with World Wrestling Entertainment is because he was able to change with the times and reinvent himself whenever the character began to get stale in the eyes of the fans. The Teenage Mutant Ninjas Turtles have had an equally impressive longevity. I remember watching the original animated series before kindergarten every morning, and I remember seeing the live-action film (and its sequel) in theaters. The Ninja Turtles that my four year old nephew is now obsessed with is a far cry from the ones I was watching, but it warms my heart to know that his generation is going to grow up with those same characters. They changed with the times, and as much as people my age decry the Michael Bay films, we need to remember that those films are for the kids that love the television show now, and not for the thirty-somethings that loved it back in the 1980s and 90s. Now we just need to work on getting The Real Ghostbusters back on television for new generations. Naturally, being a fan of the show, I had to play the games. The original NES is infamous for its brutal difficulty, as well as not being a great representation of the TMNT cartoon. The 1989 arcade game was outstanding, and the NES port, while inferior, was a great co-op romp (plus you got a free personal pizza for buying it!). 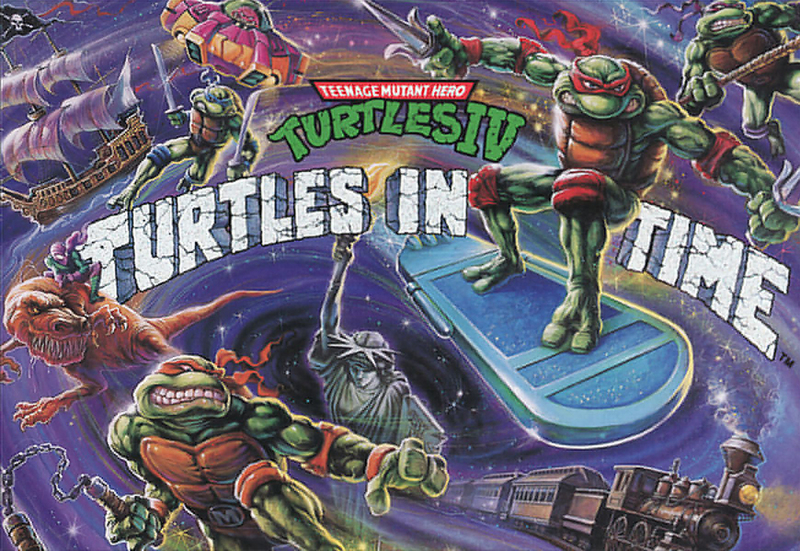 TMNT III: The Manhattan Project was a solid game, but was more of the same as the arcade game. Turtles in Time, though, is the real deal. It is one of the few instances where the console port was superior to the original arcade version, and it has been heralded as one of the best beat ’em up games of all time, and with good reason. We go level by level in this episode and break it down for you. We get into some of the differences between the two versions of the game, share some personal stories related to the Ninja Turtles franchise, and so much more.